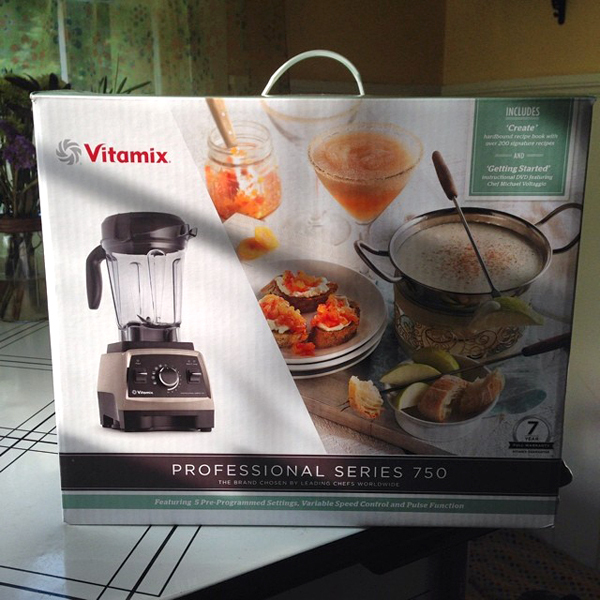 After many months of reading reviews and looking at different models we got a Vitamix! I thought, how different can a blender be? Hoo boy can it. This puppy sounds like a jet engine. My old blender would start to smell like burning metal when I tried to crush ice. I was contantly scraping down the sides trying to get it to chop everything in the container. 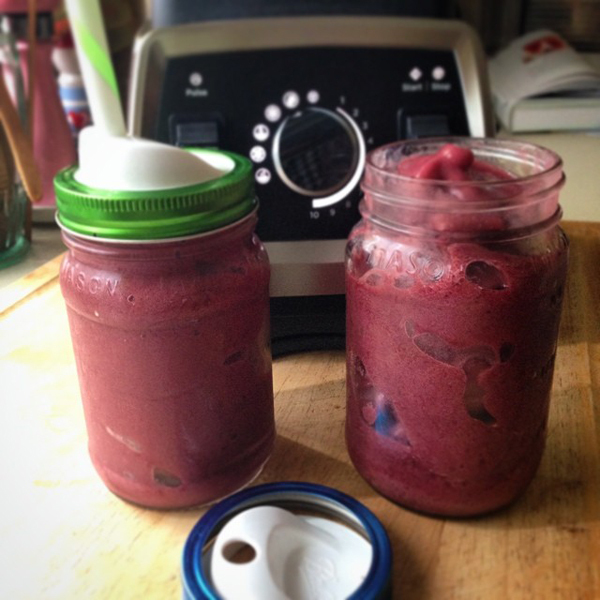 The Vitamix did a great job making these smoothies with frozen bananas, cherries and ice. Easy peasy. I'm looking forward to trying more recipes in the cookbook. I loooooooooove my Vitamix. I never thought I could love a kitchen appliance so much.